We’re counting down to our biggest night of the year – the 2018 CREW Concert & Silent Eco-Auction on Saturday, Feb. 24 from 5-9 p.m. at Riverside Park in Bonita Springs. A large part of what makes our biggest fundraiser of the year so successful is our sponsors. Many of them sponsor the concert each year and we can’t thank them enough. The presenting sponsor for the 2018 CREW Concert & Silent Eco- Auction is Kim Ruiz, owner of EcoPlanz, Inc. 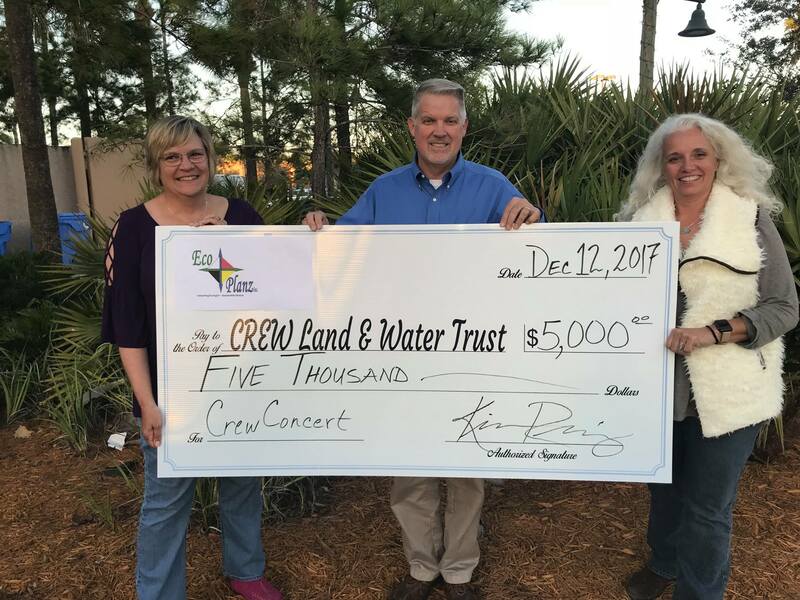 The 2018 CREW Concert & Silent Eco-Auction is Saturday, Feb. 24, 5-9 p.m. at Riverside Park in Bonita Springs. Tickets are $15 in advance or $20 at the gate; children 12 and under are free. To purchase tickets in advance, visit eventbrite.com. THANK YOU 2018 CONCERT SPONSORS!